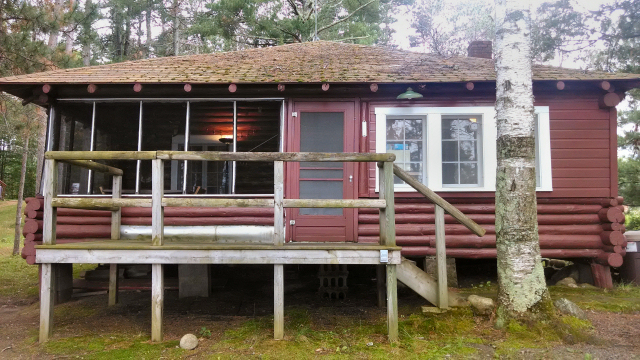 Nostalgic log cabin with big water views of Moore’s Bay on the Chippewa Flowage. The Chippewa Flowage is over 17000 acres of pure, untouched wilderness in northwest Wisconsin. There are so many bays, channels, lakes and islands to the flowage that a person cannot possibly see it all in one day-the scenery is absolutely breathtaking. The ‘big chip’ offers excellent boating and fishing opportunities and is well-known for its prize muskies. 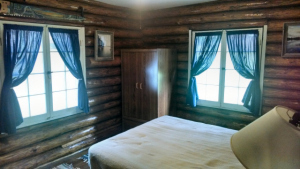 This cabin is located on Moore’s Bay – on the upper East side of the flowage where the West Fork of the Chippewa River empties into the flowage. This clean, fully-furnished three-season cabin has three good-size bedrooms, one bathroom with a shower, spacious central gathering area/livingroom and a lakeside kitchen with the essentials. 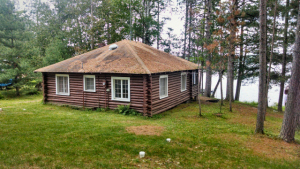 This entry was posted in Cabins For Sale Hayward, FEATURED PROPERTIES, waterfront cabins and tagged area north realty, fishing cabin for sale hayward wi. Bookmark the permalink.